My First Hosted Sketch Challenge! Welcome back to another edition of Watercooler Wednesday Challenge! I’m so excited because this week it’s my turn to host! Each of us Watercooler Artists take turns hosting the challenge each week; that means that when it’s your week, you get to choose the sketch, or the colours, or the technique -depending on which type of challenge is for that week. Isn’t this an interesting sketch, with lots of different elements to it? Yet I liked the symmetry of it, which is surprising for me, as I usually go for asymmetrical. The funny thing is that he’s been hearing me squealing about how cute & funny I think the ‘put your party pants on’ saying is – so he had a good laugh when he saw it on his card! Well, he’s a very trendy dresser….aware of fashions and trends. So I thought it was appropriate! On scrap pieces of Whisper White cardstock, I used the Balloon Celebration stamp set to stamp the balloons in Melon Mambo, Mint Macaron and Crushed Curry ink. It’s hard to tell in the picture, but I did add the shading to the bottom portion of the balloons, in the matching ink colours. I then used the Balloon Bouquet Punch and punched out each balloon. Before adding them to the panel, I stamped the single balloon strings (also from Balloon Celebration) with Archival Black ink, then used Dimensionals to pop up the balloons. 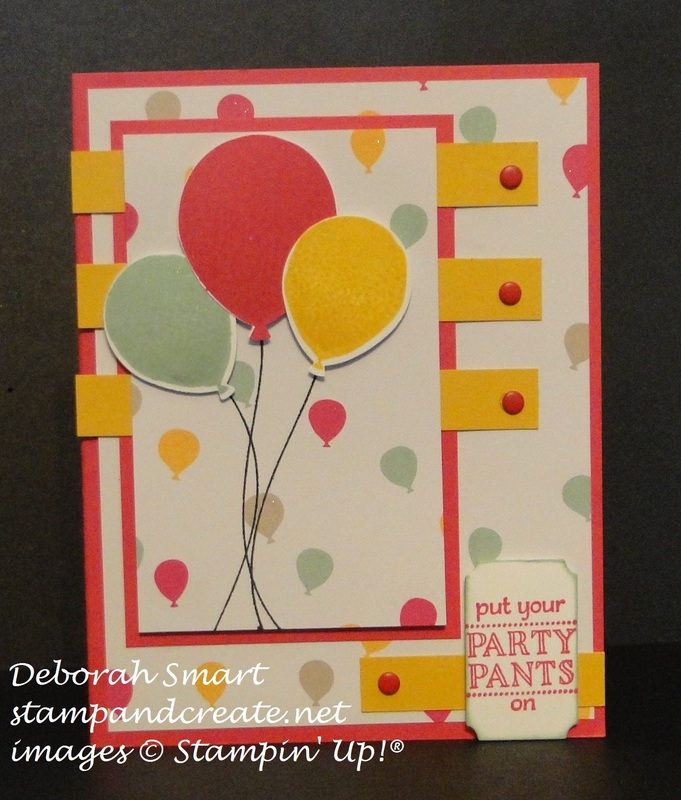 I stamped the sentiment from the Sale-A-Bration Party Pants set onto Whisper White in Melon Mambo ink, and used the Tags & Labels Framelits to die cut it using the Big Shot. I lightly sponged Mint Macaron ink around the edges using a sponge dauber, then popped it over top of another strip of Crushed Curry cardstock. To finish off the card, I added the Candy Dots on each of the strips of Crushed Curry cardstock. I randomly stamped the circles of dots in Mint Macaron and Crushed Curry, and did a pop- up of balloons in the same colours as on the front; all were stamped and punched, then glued onto the pop up portion. 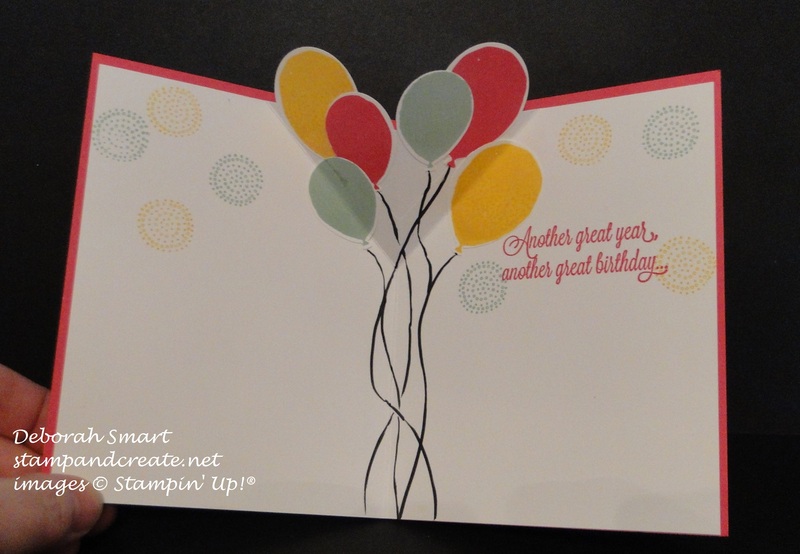 I hand drew the balloon strings using the Stampin’ Write Marker in Basic Black, and used a retired set for the sentiment. I hope you enjoyed seeing my (my son’s) card! I’d love to read any comments you’d like to leave, whether about my card, or the challenges. 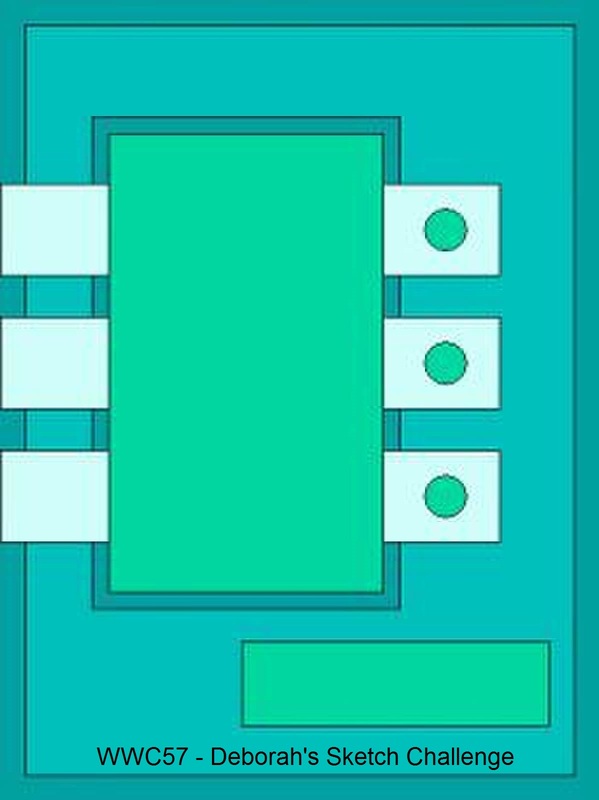 Then please head over to the Watercooler Wednesday Challenge page and check out what the rest of the Watercooler Artists have created – their cards are awesome! I’ll be looking for YOUR card to be linked to the challenge – have fun creating! Previous Previous post: Blogging Friends Blog Hop – Where Does It Happen? This card is adorable (even for an 18 year old). I love the surprise inside. So cute! The card is adorable. Can you tell me how you did the inside pop-up?? Thanks!!! Hugs!!! Awesome card! Love the surprise inside! Great job! Love this card!